Army, Navy and Air Force have locked in their season-opening football games, all starting the year at home against teams outside the top-tier Football Bowl Subdivision. Navy announced today that it will host Colgate at noon on Sept. 5 with the game televised on CBS Sports Network. 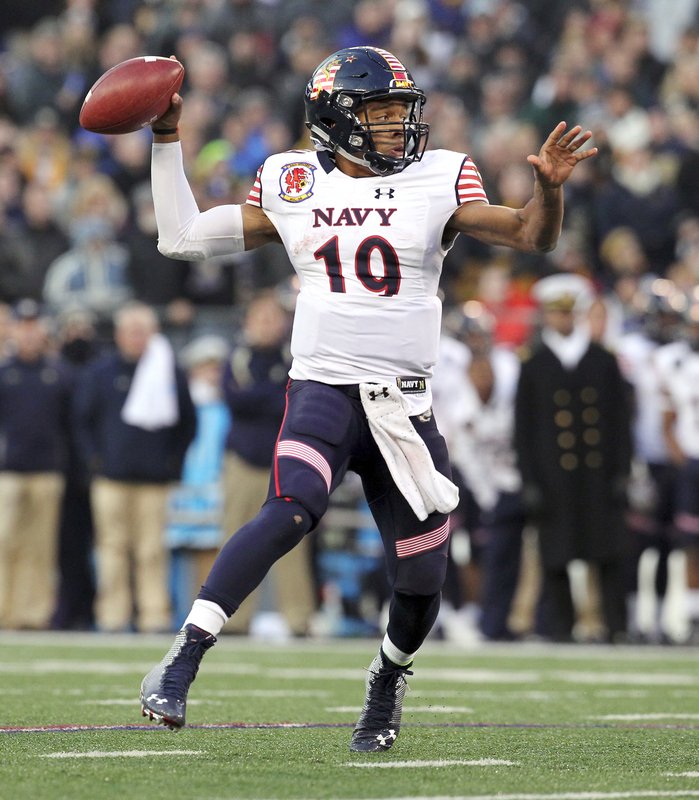 It will be a nonconference opener for the first-ever conference football season at Annapolis; the Midshipmen will play in the American Athletic Conference, which has not released its league schedule for the year. The Mids’ nonconference slate is set, and Colgate is the only team on it that won’t make a yearly appearance. Navy hosts Air Force on Oct. 3, visits Notre Dame on Oct. 10 and battles Army in Philadelphia on Dec. 12. Like Navy, the Black Knights will begin their schedule with a Football Championship Subdivision opponent and a CBS Sports Network airing, hosting Fordham at West Point under the Friday night lights (Sept. 4, 7 p.m.). Unlike the Mids, the Black Knights have the rest of their dance card punched: Dates for all 12 games are set, though most times are still up in the air. Beyond the rivalry showdown with Navy in Philadelphia, big dates for the Black Knights include a trip to Penn State (Oct. 3) and a visit to Air Force (Nov. 7). The Falcons recently finalized plans to host Morgan State for their Sept. 5 season-opener The (Colorado Springs, Colorado) Gazette reported. Air Force’s conference schedule against Mountain West foes has yet to be released, and aside from the opener and service-academy matchups, the only other game on the Falcons’ schedule is a Sept. 19 trip to East Lansing to face the Michigan State Spartans. That could be the extent of Air Force’s nonconference lineup, but as the Gazette noted, the Falcons would be able to schedule a 13th game thanks to an NCAA exception allowing teams with road trips to Hawaii to play an extra contest. No word on whether Air Force — which is set to visit the Warriors as part of MWC play this season, date TBD — will take advantage of the rule. Follow our good friends at FBSchedules.com on Twitter for updates as more of next year’s football slate comes into focus.